In early March, the $5.2 billion water technology Xylem disclosed the execution of a new $800 million loan meant to finance ongoing investments in its business. It’s not the size of the loan that’s significant — it’s the terms that guide how it will be paid back. While the money can be used for a range of general corporate purposes, the interest it pays over the five-year term will correlate directly with the Rye Brook, New York-based company’s ability to meet certain predefined environmental, social and government (ESG) goals, as measured by ratings provider Sustainalytics. Xylem’s primary business is selling smart water networks and services that help companies and municipalities curb contamination and pollution — it boasts clients from Montreal to Barcelona to Salt Lake City. Its current rating is 78 out of 100. Based on the average for its category, it’s already in the 98th percentile of performance. The better Xylem does on improving its Sustainalytics score, the bigger the discount the smart water networks company will receive on the money it is borrowing. It is literally in Xylem’s interest to get more aggressive about reducing its footprint. But if it misses the mark, it will wind up paying a higher interest rate than it otherwise could have. According to a Securities and Exchange Commission filing about the loan, anytime Xylem’s score rises above 81, it will receive the better terms; if it slips below 75, it will pay progressively more interest. The credit facility has been described as the first example in the United States of what has become known variously as a sustainability improvement loan or ESG loan. The sustainability coordinator for the loan — the entity that helped define what results would be used to determine the lower rate — was Dutch-headquartered financial services company ING, which established a team last year in New York to champion the cause of sustainable finance with companies in North America. ING was far from the only financial services giant involved in this particular loan’s orchestration — it was among a half-dozen lead organizers including the usual suspects from the U.S. banking sector. But ING is notable for having been involved with almost half of all the roughly 32 loans arranged globally since 2017 that have been pegged to demonstrable or quantifiable improvements along various sustainable metrics. “If we futureproof our clients, then we futureproof ING,” said Léon Wijnands, global head of sustainability for ING, during a briefing last week in New York. Black Bear, one of ING’s investments, has developed a sustainable solution that recovers high-quality ‘carbon black’ from waste tires. The emerging category of sustainable finance instruments, such as the Xylem loan, is meant to help organizations that don’t have the financial means to commit to a green bond or green loan. The green bonds issues that ING negotiates, for example, are usually at least $500 million. But from ING’s point of view, finding ways to arrange smaller loans is necessary to help accelerate meaningful corporate action aimed at upholding the carbon reduction goals of the Paris Agreement. One of its latest additions to this team wasn’t another environmental engineer, it was an expert in behavioral economics. The challenge has been determining and finding the right data to verify improvement claims, because what needs attention varies from industry to industry or sector to sector, he said. To help ING make better-informed decisions about its own portfolio, the company collaborated with the 2 Degrees Investing Initiative to develop what it calls the Terra approach, basically a framework for evaluating how a particular loan or investment negatively or positively might affect a low-carbon economy that operates in line with the temperature-tempering goals of the Paris Agreement. This isn’t a proprietary tool: ING has encouraged 2 Degrees to share it with other financial institutions. Wijnands said ING is talking to at least 10 other banks, although he declined to disclose their identities. Anne van Riel, head of sustainable finance, Americas, for ING, said while green bonds or green loans must be used for projects such as land preservation, developing renewable energy or investing in water conservation or treatment measures, more general ESG loans can be used for more traditional improvements — such as technology systems investments or real estate upgrades. “We saw that companies don’t always want to put capital at risk, but they do want to make smaller investments,” she said. The metrics that borrowers must meet are tailor-made, but they’re not meant to be easy. One particular area of focus in coming months will be on how ING can help finance improvements across a company’s supply chain, as that is where many of the risks lie to a company’s resilience. What might that look like? ING could step in to help finance receivables, as an example. Suppliers that perform better against certain resilience or energy efficiency metrics, for one, might receive a better rate. Expect ING to step up its focus on financing companies that could help catalyze the transition to a circular economy — indeed, the supply chain effort is related to that interest. ING is a founding member of the FinanCE Working Group, creating to help the financial better identify and qualify investment opportunities. The other launch players were two other Dutch multinationals, ABN AMRO and Rabobank. ING’s Orange Circle program is specifically focused on opportunities related to the circular economy. It is focused on five areas: client education about circular business models; making changes to ING’s own procurement policies that help increase demand for circular products; forging relationships between like-minded companies; funding companies that are part of the circular economy ecosystem; and backing startups that support new thinking such as selling products as a service. Together, Shanks and Van Gansewinkel cover almost every aspect of waste collection and recycling in the Benelux. ING has been involved in several European deals that underscore its interest in the circular economy. For example, it helped underwrite the merger between two waste management companies (Shanks and Van Gansewinkel) that are focused on finding new approaches for recycling and finding uses for everything from industrial waste to garden refuse. It was also at the center of the initial public offering for Avantium, a bioplastics company that began life as part of Royal Dutch Shell; it is a backer of Black Bear, a startup that turns old tires into things such as pen ink or even other new tires; and ING also provided financing for Breeze, a zero-energy hotel being built in Amsterdam that is set to open this spring. ING isn’t the only bank talking up sustainable finance, of course. Most of the U.S. banking giants — from Citi to JPMorgan to Wells Fargo — have declared multibillions of dollars of support for sustainable energy, water climate adaption and resilience efforts. The latter has its own effort dedicated to financing circular economy initiatives. Just last week, Bank of America pledged $300 billion more of capital to “low-carbon activities” between now and 2030, bringing its total commitment since 2007 to $445 billion. These same banks, however, remain among the largest funders of fossil fuels companies and projects. In contrast, ING is trying to steer its entire portfolio of about $560 billion (based on current exchange rates) toward activities that support the Paris Agreement. 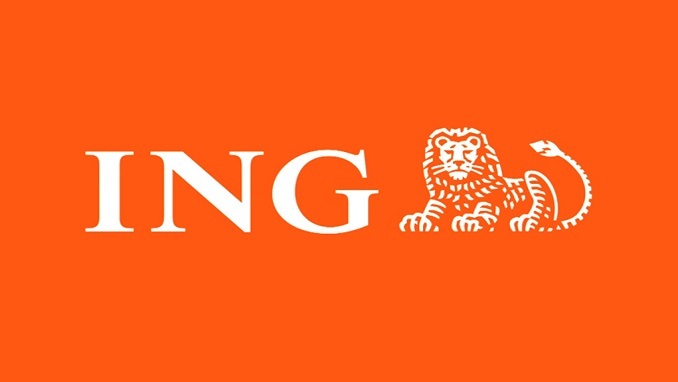 Its impact may be much smaller than its U.S. rivals, but there’s no question about where ING stands.